We are in the final weeks of our campaign. had a crowd at the fundraiser. The sign wave was greeted by supporters. Thank you. My opposition was so shocked they called authorities who were able to calm them down. 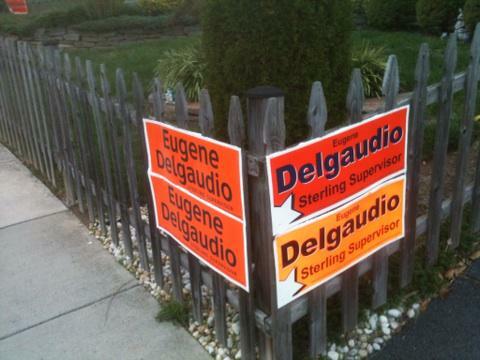 There is really nothing wrong with supporters responding to a Delgaudio sign wave. to his three arrests for DUI and other related offences. SPECIAL ANNOUNCEMENT: THERE WILL BE MORE "SIGN WAVES"
To keep our momentum, I will announce tonight that there will be more sign waves but not announce the location and time. REPEAT: Look for more "sign waves" before Election Day. fax or mail an application is Oct. 27. Voting in advance is in progress but ends Oct. 31. DETAILS HERE. Partial List! 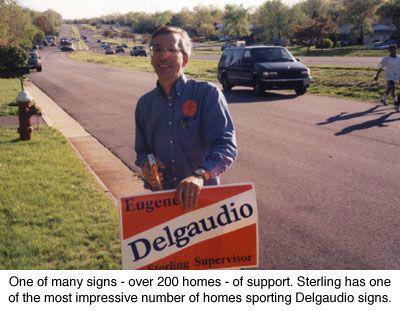 Top Ten Accomplishments of Eugene Delgaudio for Sterling. Still Time To Donate To My Campaign. 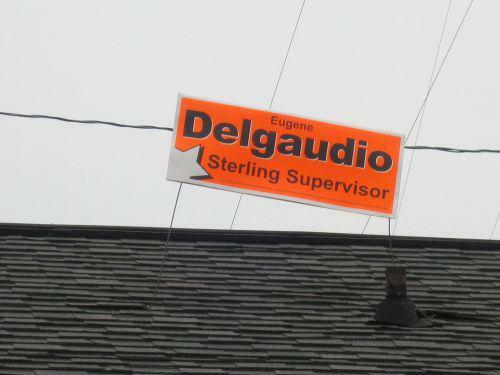 Please send a donation check to "Friends of Delgaudio"
$250 or $150 if you can. This campaign for re-election is expensive and will cost $5,347.00 more to win again. Or send me $100, $75, or $50 if you can. I get immediate notice when you donate.